Hear ye, hear ye, calling builders of all ages! Join Sci-Port: Louisiana’s Science Center as they open LEGO® Castle Adventure on Saturday, Oct. 5, to the public. In LEGO Castle Adventure, children and families are transported to a LEGO kingdom where they too can become master castle builders, using one of the greatest building materials of all time – LEGO bricks! LEGO Castle Adventure is open through January 12, 2014. Visitors to LEGO Castle Adventure will be immersed in castle-life through experiences designed specifically for children and families. Enter the LEGO kingdom’s royal castle to sit in their majesties’ thrones and view the royal family’s portrait and LEGO suit of armor. View the king’s secret treasure room filled with LEGO jewels. Even the youngest of builders will enjoy putting together their own LEGO castle creation. LEGO models of real-world castles Blarney, Arundel and Neuschwanstein offer insights about how castles were planned and built. Age-appropriate build areas for Apprentice Builders (toddlers), Journeymen Builders (ages 3- 6) and Master Builders (ages 7 and older) allow children to use their newfound knowledge to create their own unique structures. After visiting the throne room, visitors can tour the castle grounds and learn about day-to-day castle life. Children and families are able to dress up as princes, princesses, knights or dragons; build a LEGO brick topiary; or climb a lookout tower. Children are invited to don suspender-style horses to play in a safe “jousting field” with foam-rubber lances and soft targets set up on the field. And, of course, no trip to a castle would be complete without meeting the resident LEGO dragon. Once visitors have learned what it takes to plan and construct a proper home for the king and queen, they can test out the castle’s defenses with a catapult. Using a 3-D computer program and real-world catapult, one can virtually build and test the castle walls and learn through trial and error the most durable way to build the castle’s defenses. 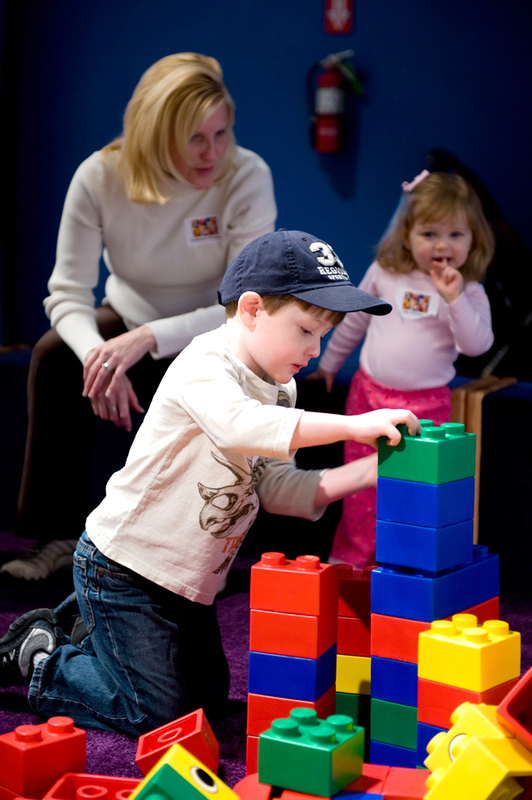 To learn more about LEGO Castle Adventure, visit www.sciport.org.